Illustrated by Tim Kirk, it was published by Whispers Press in 1977. Rime Isle was billed as a single short novel,although half had been published as a stand alone story in Flashing Swords #3 and the other half in two issues of cosmos, (under the titles “the Frost Monstreme” and “Rime Isle”respectively). The contents form most of the collection Swords and Ice Magic. 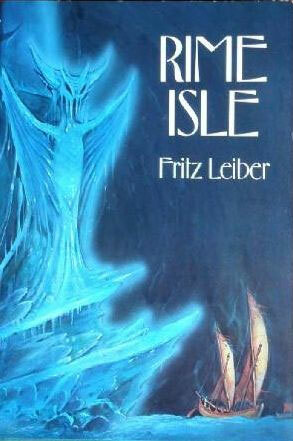 The cover for Rime Isle I have always found to be very effective.